Lausanne, 20th January 2018- There was so much snow on the Swiss mountains, but the weather was kind to the second stage of the ISMF World Cup. 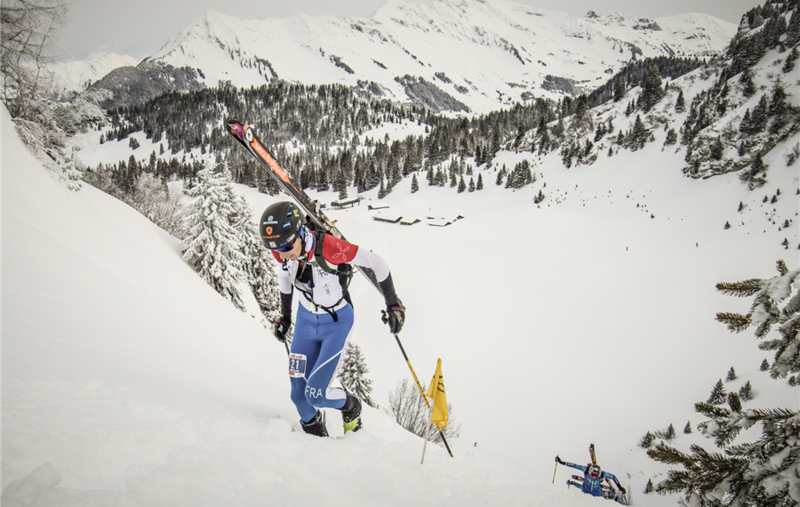 The individual race disputed in Villars-sur-Ollon this morning was an exciting challenge thanks also to the place which was a real winter wonderland for Ski Mountaineering lovers. The 2020 Youth Olympic Games will be held right here, on these mountains. It was difficult to make predictions about men’s race. There were a lot of champions seeking new success and new points to add at the Cup ranking. The French Xavier Gachet propelled himself into first position. The podium rounded out with two Italians, Robert Antonioli in second position, followed by Michele Boscacci in third place. Laetitia Roux (France) did not disappoint expectations, she is the winner and with no doubts the queen of the SkiMo. Another good placing for France thanks to Axelle Mollaret in second place, followed by the Swiss Victoria Kreuzer. Ready? Go! At the beginning a group made up of four men: Michele Boscacci, Xavier Gachet, Martin Anthamatten and Nadir Maguet dictated immediately the rhythm of the race. Robert Antonioli was slightly behind them. The group and Antonioli were at the lead until the third ascent, but at this point Xavier Gachet speeded up and gained precious seconds. He made the most in the footpath earning some meters and he finally arrived with 20 seconds head-start. Behind Gachet there were Michele Boscacci and Robert Antonioli. Meanwhile Nadir Maguet, Martin Anthamatten and Federico Nicolini were some seconds late. The French Xavier Gachet kept the lead crossing the finish line with a time of 1:45:38, with a lead of 13’’36 from the second place, which is of the Italian Rober Antonioli with a perfect descend. Michele Boscacci (Italy) rounded out the podium in third position. The 4th and 5th positions went respectively to Nadir Maguet and Martin Anthamatten. The women’s race was under the dominance of Leatitia Roux, followed by her team mate Axelle Mollaret. Also the Swiss Victoria Kreuzer and the Italian Alba De Silvestro fought for the podium, but the winner was Laetitia Roux with a time of 1h45’18’’. A very good placing for Axelle Mollaret in second place (1h47’02”). Victoria Kreuzer, excellent ski mountaineer athlete, won the bronze (1h51’35”). Among the first five athletes there were also Alba the Silvestro (Italy) and Claudia Galicia (Spain). 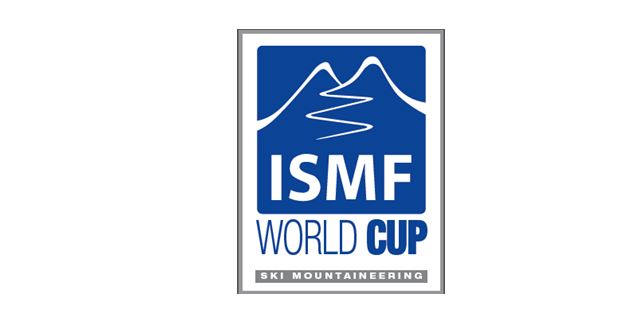 The Local Organising Committee and the ISMF referees created an Individual Race with a positive difference in height of 1688m for 14 km of length. Four ascents and a footpath to cross with skis in the rucksack. Junior categories had to deal with a shorter track with a difference in height of 800m with three ascents. The total length of the track was about 8km. After the Individual race, athletes must recover in few hours face with the second race. In fact the this World Cup week-end ends only tomorrow with the Sprint Race. The jet men will deal with an heart-pounding race with rapid inversions and steep ascents and descents among directional posts.